After leaving Chester, IL we paddled about 20 miles to Grand Tower, IL and watched a few guys jug fishing. They hauled in a pretty good sized catfish as we floated by. One of them yelled out, “you boys are gonna get wet if you keep going!” Boy was he right. In no time we were caught in the rain. It wasn’t lightning so we kept going. Suddenly, you couldn’t see anything! The rain was coming down so hard it stung. The wind picked up and the rain started coming at us horizontal! We moved towards the shoreline but couldn’t find anywhere to go ashore. It wasn’t long before our boats were filling up with rain and we had to start bailing water. We probably did that 3 or 4 times. 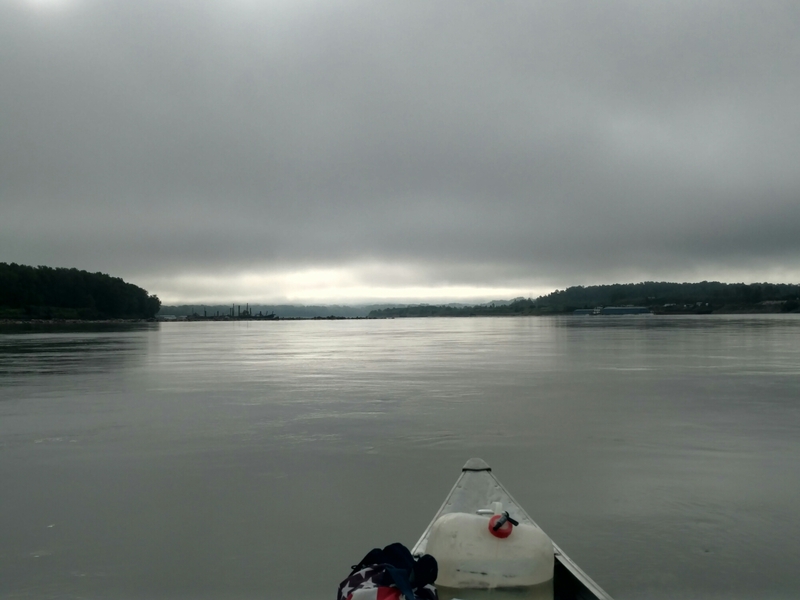 After about and hour or so, the rain let up and we paddled on in to Cape Giraradeau, MO. We stopped at a boat landing and got a ride to the nearby casino. It was all you can eat snow crab legs and steak! Yum! After filling our bellies, we paddled down a little further to Marquette Island and camped. Morning came and the weather looked pretty good. 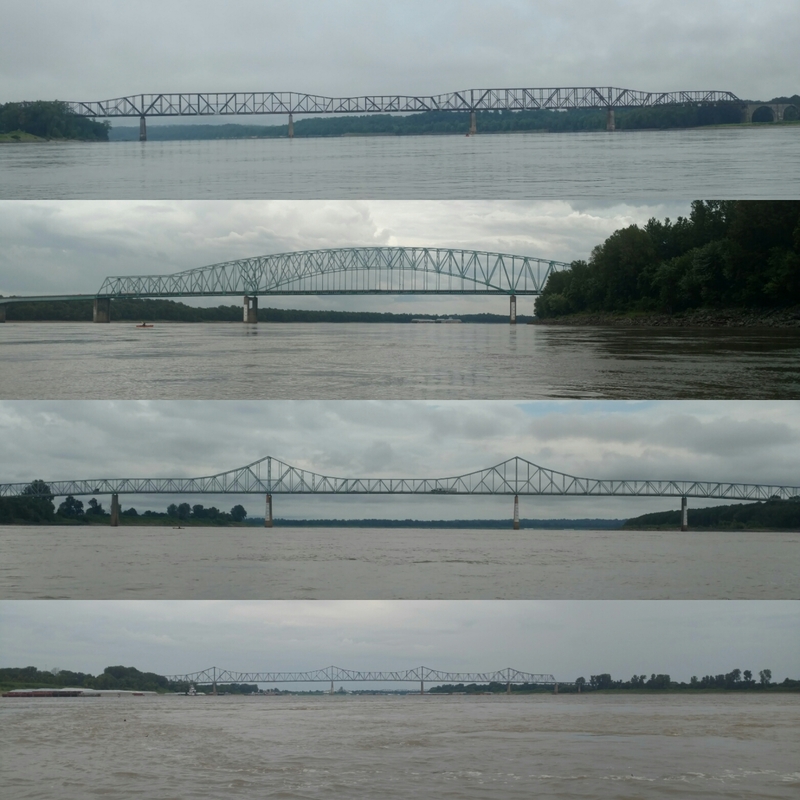 We had 50 miles to go to hit the Ohio and Mississippi rivers confluence. The current was fast so we made excellent time. We stopped at the park just outside Cairo, IL and met a cross country biker named Trey Ducker. Very nice guy! He was on his way to Los Angeles. 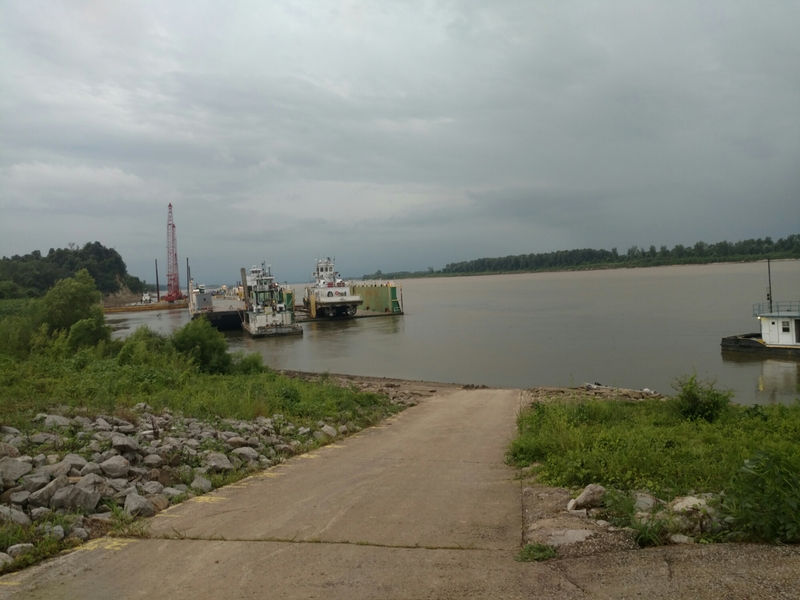 After hearing stories about Cairo, we decided Wickliffe, KY across the river was our best bet. 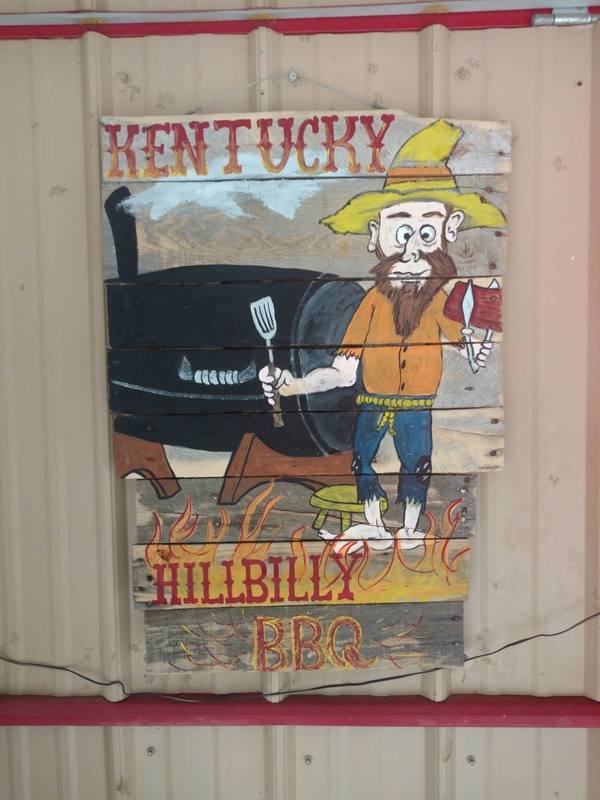 We docked our boats and barely made it to the best BBQ joint around, Kentucky Hillbilly BBQ. Super friendly folks there. We really enjoyed talking with the locals and eating delicious BBQ ham sandwiches with cheese and slaw! We decided it was getting late and we had our eyes set on this giant sandbar a couple of miles downstream. As we hit the channel, we saw a dark cloud and a squall line coming upstream. We knew we weren’t going to make it to the sandbar so we cut across the river and hit a small beach just had the storm hit. The wind was incredibly strong and my log pillow took off rolling down the beach. I barely got the tent up. Unfortunately a lot of rain made it’s way inside. Everything is soaked. The lightning was extremely dangerous! A couple of close strikes. After about 30 minutes, things calmed down. Heading to Hickman, KY tomorrow. I love these bridges over the river. Excellent BBQ in Wickliffe, KY!